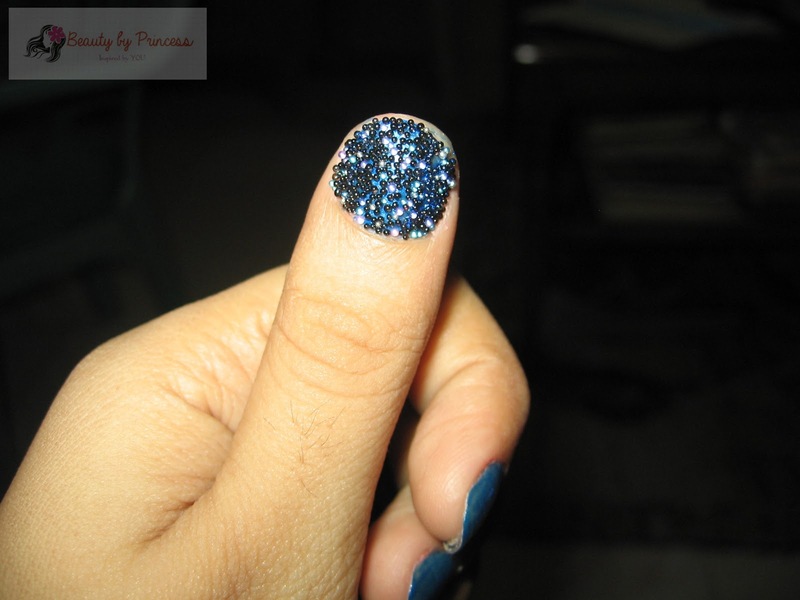 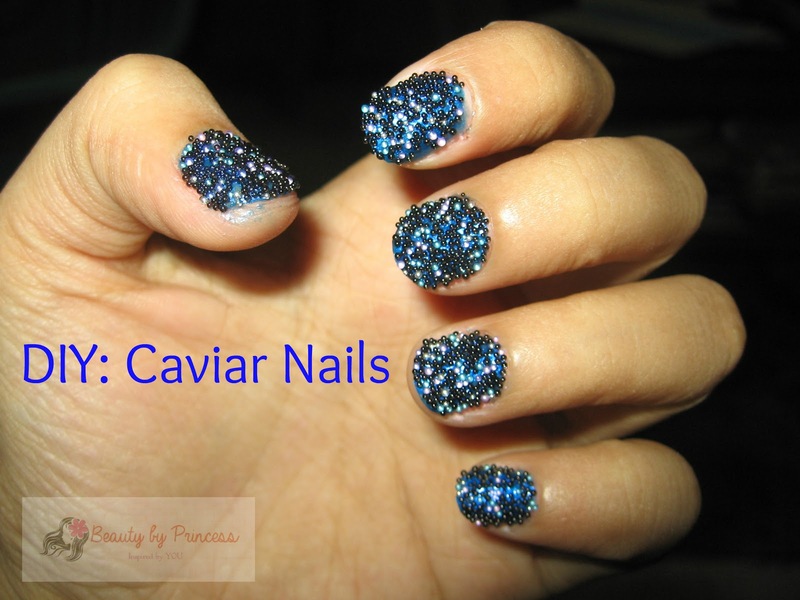 Step 2: While it is half dry, put your caviar nails to your nails. 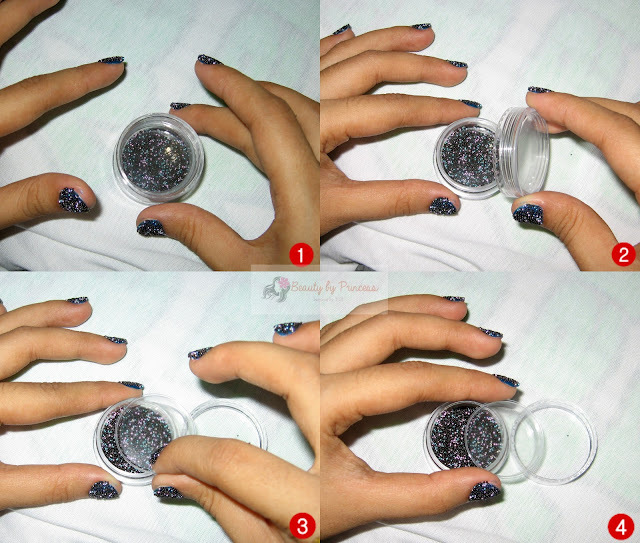 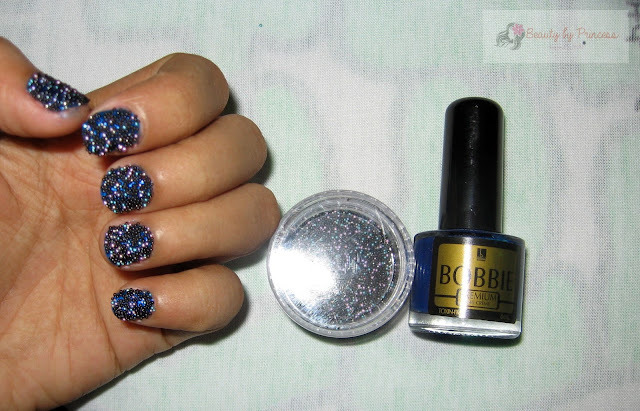 I use the plastic cover of the case,fill it up with caviar pearls,pour it to your nails,the pearls will automatically stick to your nails, then press the pearls gently to stabilized. 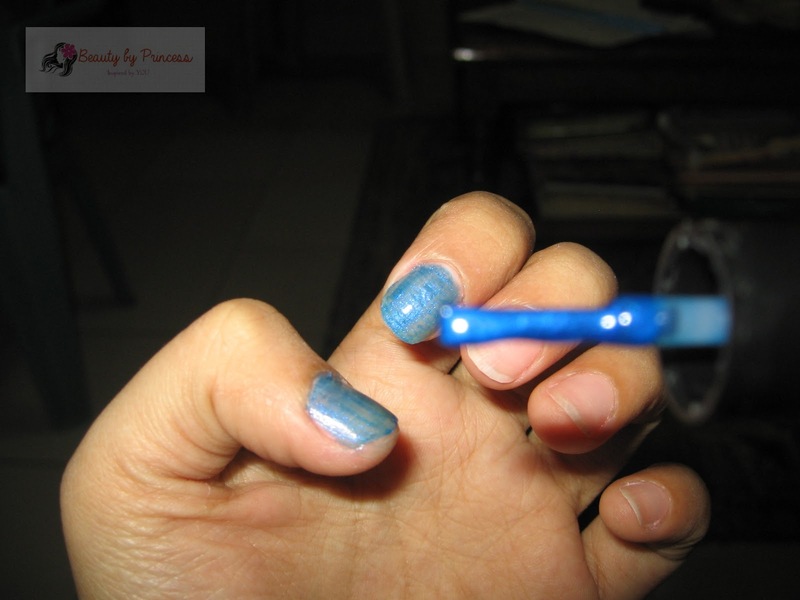 Do it to all of the remaining nails. 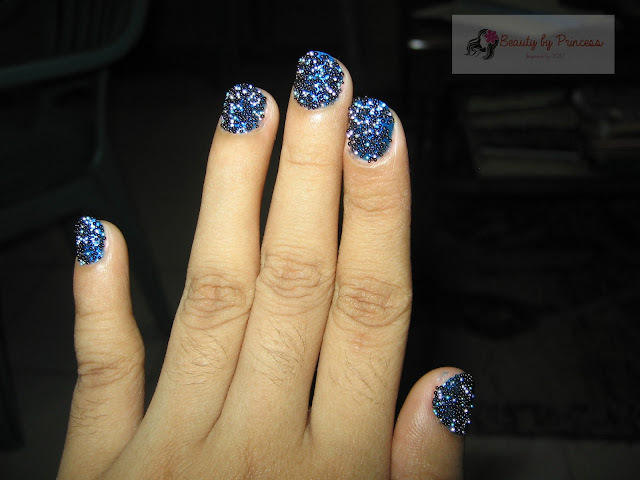 Here's what it looks look like when you start sticking the pearls. 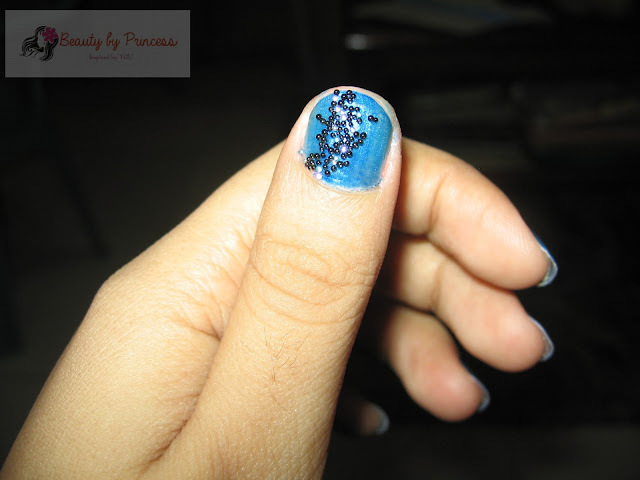 Here it is after you fully covered your nails with pearls.